Aunt Bessie’s are normally famed for their prepared Sunday Lunch items, ie pre-made Yorkshire puddings and roast potatoes. They have branched out to ice cream now, which I guess covers dessert on a Sunday, or any day for that matter. The new ice creams are flavoured with traditional desserts, and I’m giving the Aunt Bessie’s Jam Roly Poly and Custard Ice Cream the first taste test. As we ordered this tub online, I have to say it was a little smaller in real life than I’d been expecting. We usually struggle to get ice cream tubs in our packed freezer, but this was easier to find room for. Once the lid was popped I could see the pretty pattern from the raspberry jam on top. The ice cream was rippled throughout too, and soft and easy to serve. The flavour was rather fantastic. The base ice cream is custard flavour, and looked a pale yellow in colour. The custard taste was spot on, with rich and creamy flavour, sweet and with a good hint of vanilla. 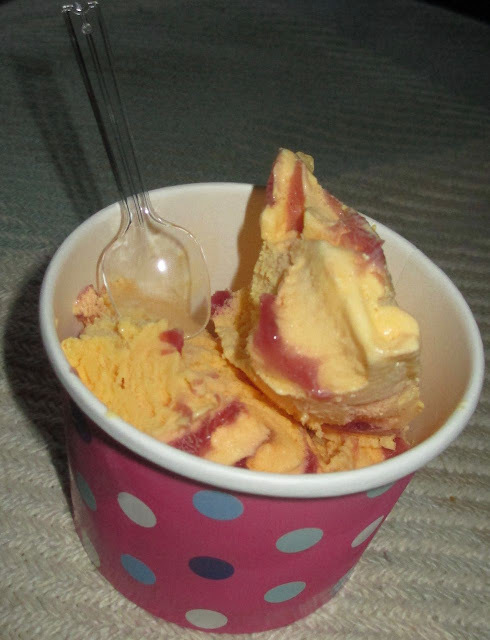 The raspberry ripple is also sweet and not too zingy, but I enjoyed the contrast of the flavours. Fruit and cream. Finally dotted throughout the ice cream were pieces of golden sponge that made the texture fun and interesting and gave the dessert a golden baked flavour. 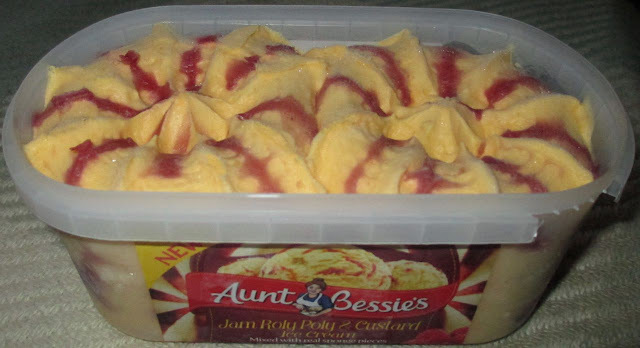 I guess it is a nice twist on a raspberry ripple, and the flavours were ever so moreish and tasty. Yes, I was right first time, I was wishing for a bigger tub. 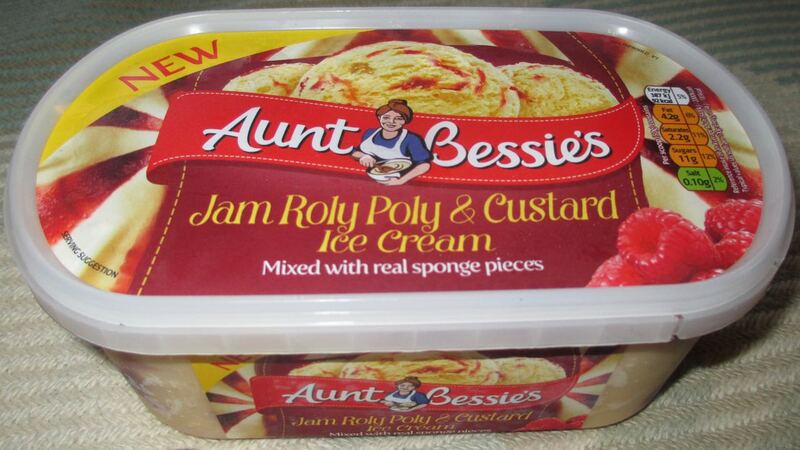 I can’t wait to try Aunt Bessie’s Lemon Meringue ice cream next!